James is a Senior Associate at Oraro & Company Advocates in the commercial, conveyancing & real estate practice areas. With over 6 years of experience, James has advised local and international clients from the financial services and construction sectors. James is well regarded for his conveyancing expertise has advised on corporate lending transactions, drafting lending and security documentation but is well regarded for his expertise in the drafting of leases for both commercial & residential and transferring of land. James recently advised a leading telecommunications company in a corporate lending transaction worth USD 10 million. 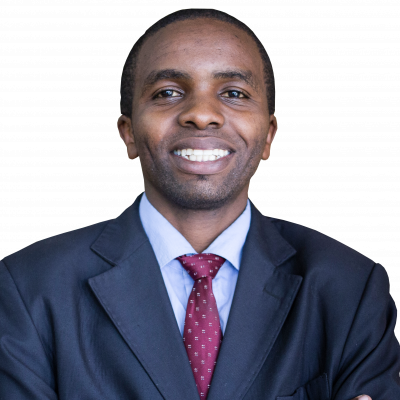 James holds a Bachelor of Laws (LLB) from the University of Nairobi and a Diploma in Law from the Kenya School of Law. Part of the team that undertook a comprehensive securities audit on behalf of a Pan African Bank which aimed to review the bank's loan portfolio to mitigate the risk of the bank. Part of a team that advised a leading trailer manufacturer in greater Africa in a corporate lending and securities transaction with a cumulative value of USD 14 million. Part of the team that advised a corporate leading worth USD 10 million to a leading telecommunications company in Kenya. Part of the team advising a major international NGO with offices globally in the acquisition of a property for USD15 million. Part of a team advising a real estate developer in a housing development project within Nairobi, worth USD 40 million. Part of the team advising a Pan-African financial institution with offices in several African countries, in the acquisition of a property.